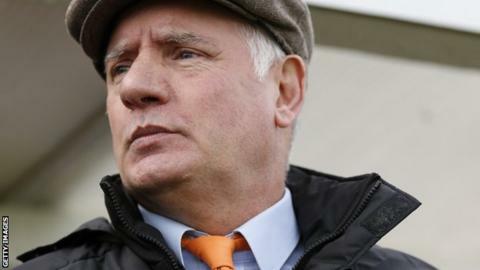 Braintree Town have parted company with manager Alan Devonshire, claiming he turned down the offer of a new contract. Devonshire was at the helm of the Iron for four seasons, and guided them to three top-half finishes in the Conference Premier. In a statement, the club said: "The board offered Alan Devonshire an extension to his current employment on the same terms. BBC Essex understands that assistant manager Keith Rowland has also left his post. Chairman Lee Harding added: "We had a lengthy chat with Alan on Saturday and advised him we would like him to remain at the club for a fifth year. "Alan advised he's been approached by third parties for next season, and was not prepared to sign as he wanted to speak with them. "We agreed to give him until Thursday evening to consider our offer but he was still not prepared to sign." Devonshire, an FA Cup winner with West Ham United in 1980, guided Braintree to a sixth placed finish last season, the highest position in the club's history. Academy manager Mark Sansom will be in caretaker charge of the Iron's last two matches of the season.